The preparation of your raw data is the first essential step in customer journey analytics! Which data belongs to which journey? Based on our experience with clients and in collaboration with leading universities, we developed a classification method that can detect and classify data from many sources for Journey Mining. This module uses the Underlined Hub for CX Analytics, a collection/framework of machine learning and AI algorithms, which can be used directly as part of your Customer Experience Management programme. In Data Driven CX many data sources are connected to gain insight into the customer journey. 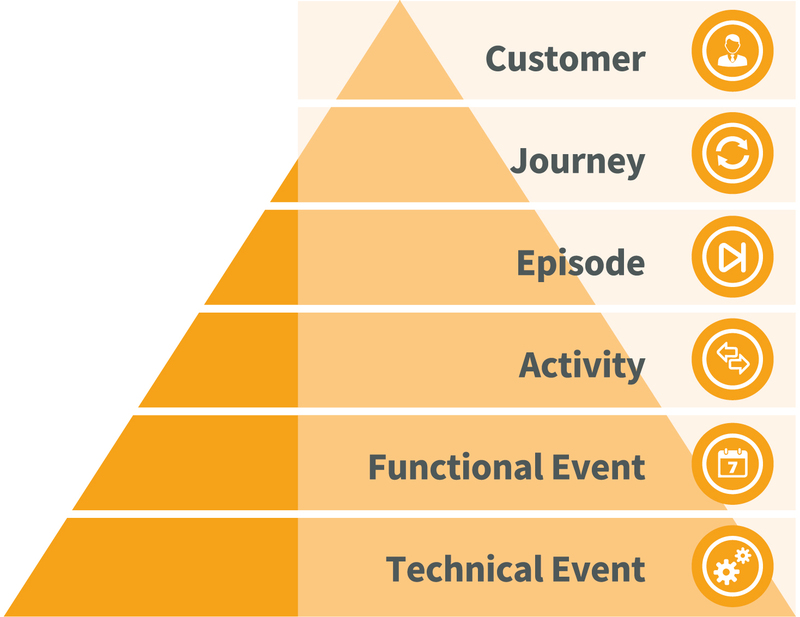 Underlined uses a cluster method to logically group all data into the different parts of the customer journey, enabling analysis and visualisation based on customer journey principles (see figure). Want to know more about how this technology works and how it could be implemented in your organisation? Please contact us for a demonstration and full explanation. If you would like to see examples of our customers already working with our techniques, click here!